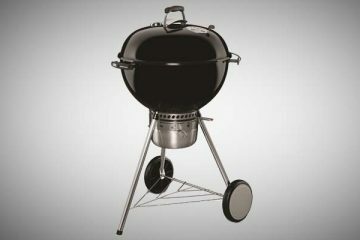 Pretty much all pellet grills on the market focus on one two key features. Versatility and convenience. That makes them great all around grills, but you definitely wouldn’t consider them portable. For one, you need to have a source of electricity to plug the grill in to. 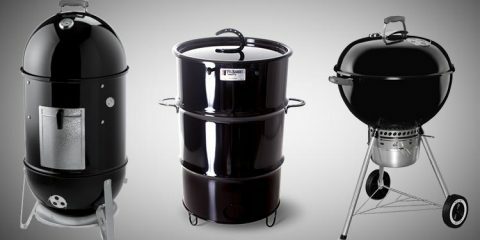 You can’t just grab a bag of charcoal or a propane canister and fire it up anywhere. Then there’s the bulky design caused by the pellet hopper. So you might be wondering what made us named the Davy Crockett by Green Mountain the best portable pellet grill in our guide to pellet grills? Green Mountain have managed to fit a 12” x 18” cooking surface into a relatively compact 60 pound package. They cleverly get around the need for an electrical outlet by packaging the grill with adapters that let you power it from the cigarette lighter in your car. Or you could always plug it in to a generator. The Davy Crockett generates heat and smoke though wood pellets which are placed in a hopper, and then moved into the fire box. 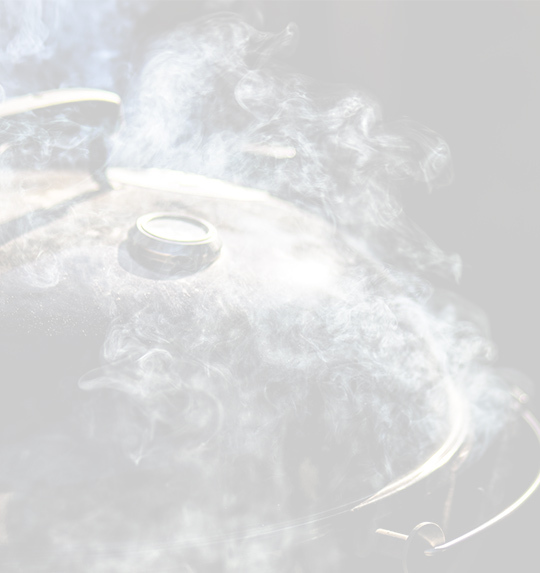 No other source of fuel is necessary, and the steam keeps food moist while the smoke flavors it. If you’re familiar with how pellet grills work then there are no big surprises here. 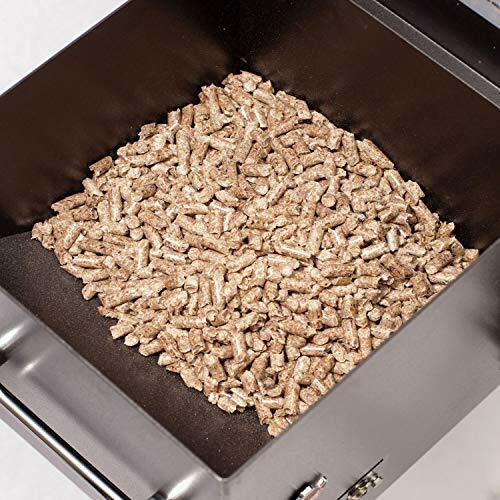 Of course Green Mountain Grills makes wood pellets, but the Davy Crockett will work well with any wood pellet so you might as well buy in bulk. 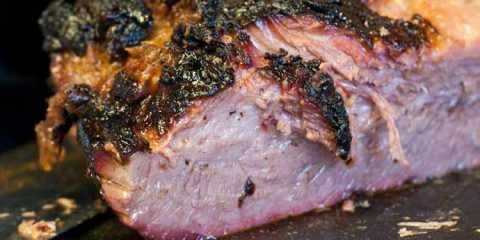 With the capability of heating accurately between 200° and 550°F, (more about this later) the Davy Crockett does a decent job as both a smoker and a grill. On top of that, it’s packed with some surprisingly high tech features. Why would a smoker/grill need WiFi technology? 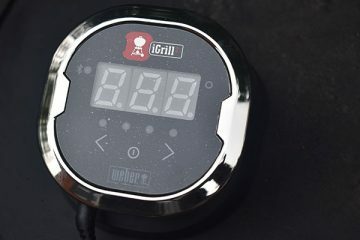 Allows for remote temperature control, allowing you to do other things while the grill works. 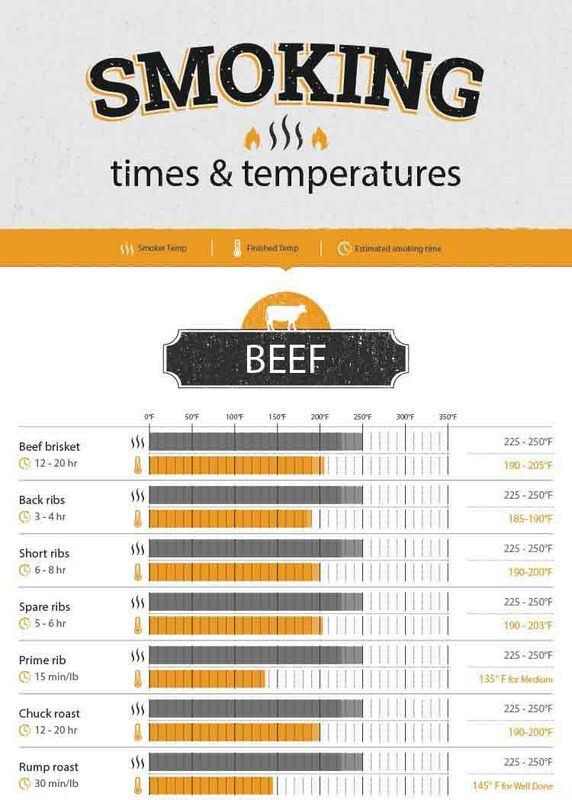 Allows you to set times and temps accurately and know when they are reached. 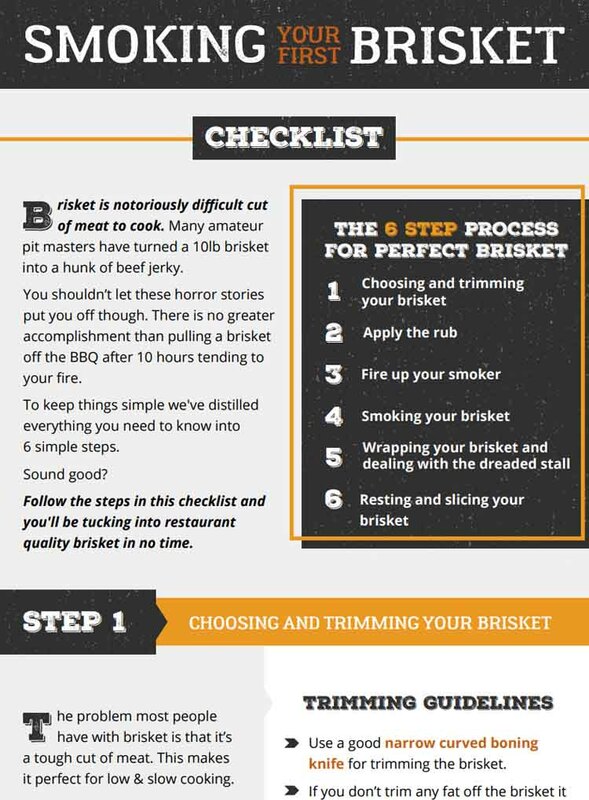 Eliminates the need to frequently check the proces of what you’re cooking. The Davy Crockett “talks to itself”, controlling fan speed and other factors that contribute to the ambient temperature. It is also a safety feature, preventing fires on its own and allowing you to walk away with confidence. The Davy Crockett can be plugged into a car cigarette lighter, car battery (charger cables included) or any other 110 volt outlet, including the household type, (Obviously, no grill is recommended for use inside your home), or a generator. It has an app that you download to your tablet or phone (see here for instructions) allowing for remote control. If you plan on using this as a portable grill then the weight factors into the ease of use. 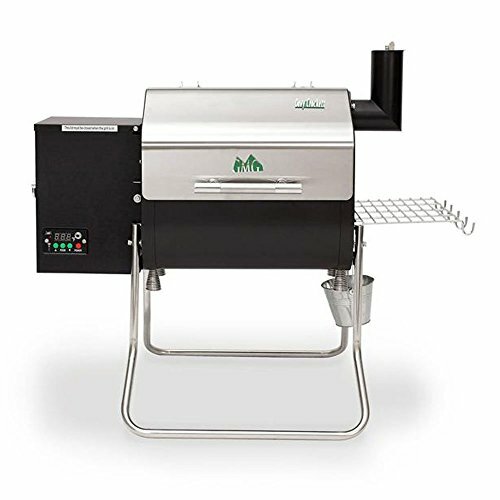 The grill is quite light compared to other pellet grills at around 60 pounds. The legs fold into handles for carrying, and it also can be placed on a flat surface, such as a tail gate. If you do not think that 60 pounds is ‘light’, it should be noted that two people should be available to carry and lift this grill. This is an occasional complaint about the Davy Crockett model, but the DC is a work horse and strongly built. It is not made of plastic. It is steel. However, it will fit into the trunk of a car. Even out of the box, the Davy Crockett has super easy assembly, so for a heavy duty portable model, it is convenient to take around to tailgates, picnics, RV’ing, and camping. Check out this video to see how the assembly works. The Davy Crockett is suitable for household (outdoor) use, too, and a great number of its fans use it more as a stationary grill than for travel. With smaller yards and families, the DC is a preferable size for most people. Winner of several medals since its inception in 2008, such as the 2013 VESTA Award for barbecues, other fuels, and The Amazing Ribs Best Value Gold Medal, the Davy Crockett was conceived as an answer to some of the failures of other wood pellet grills currently on the market. The Davy Crockett has a 7” peaked lid which combined with the fan provides superior air flow (convection), and is roomier for food. 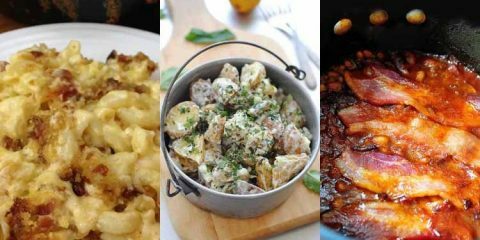 This improves cooking based on the basic culinary law of not overcrowding the food. The Davy Crockett has a 12” x 18” cooking surface, which is large for a portable grill and smaller than the biggest baddest totally stationary grill on the market. This allows for a 10-12 lb brisket, about a dozen burgers, a couple of chickens, or a small turkey. Portable grills aren’t ideal for cooking for a family reunion of 40 people, and that is not what is expected of them. When you cook grease is channeled to a bucket with an angled drip pan, which is fitted around the temperature sensor of the control box, a practical way to eliminate build up and the need to brush or scrape frequently. The Davy Crockett is made of steel, with a 14 gauge body and 13 gauge lid, making it stronger and heavier than its competitors while still portable. The Davy Crockett is guaranteed for 2 years, which protects against any defects in manufacturing or structure, and the company is known for its responsiveness. The legs can tip somewhat. This could be solved with some kind of rubber grip on the bottom part, which would also make carrying easier. A few owners have had problems with the probe thermometer, but the Green Mountain Company is very responsive to consumers, and have replaced defective units speedily. Also, this defect is notably rare. A third party wireless thermometer will always give you more accurate temperatures though. 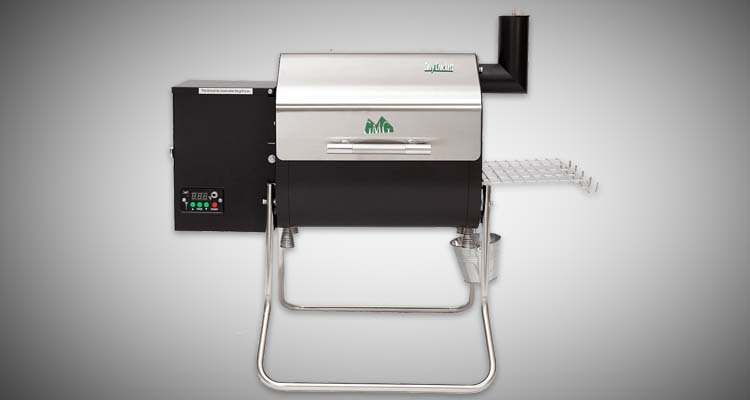 The Davy Crockett Grill exceeds expectations for a portable pellet grill, not only in construction but in thoughtful design, price, and general user friendliness. While the grill is definitely marketed for portability, the grill is definitely nice enough to use regularly as either your primary grill if you’re not cooking for many people or as a secondary home grill when you need extra capacity. I live in a motorhome and I take my Davy Crocket with me and cook along the way. Yesterday I did a 12 hour brisket cook for my grand kids on my Davy Crocket. 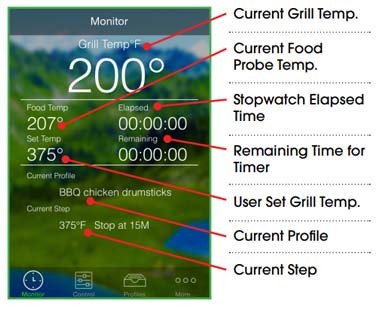 I have a Big Green Egg at our winter home in Yuma Az and I found the Green Mountain line of smokers and the app for the phones I love just sit in my house and turn it on set it up.